The Transfer Station will close at 12:00 PM on Monday, November 19, 2018 for pavement maintenance. Normal operations should resume on Tuesday, November 20, 2018. Please be informed that the Fayette County Public Arts Committee will meet on Wednesday, December 5 at 7:00 p.m. This meeting will take place at the Fayette County Administrative Complex, 140 Stonewall Avenue West, Suite 100, Fayetteville, Georgia 30214. Please be advised that the Fayette County Board of Elections will hold a meeting on Friday, November 16, 2018 at 5:30 p.m. This meeting will be held in the Fayette County Elections Office located at the Fayette County Administrative Complex, 140 Stonewall Avenue West, Suite 208, Fayetteville, Georgia 30214. Please be advised that the Fayette County Board of Elections will hold a meeting on Friday, November 9, 2018 at 5:00 p.m.
DID YOU VOTE A PROVISIONAL BALLOT THIS ELECTION? IF YES, PLEASE CALL 1-833-547-8683 (VOTE) TO DISCOVER IF YOUR PROVISIONAL BALLOT WAS COUNTED. Please be advised that the Water Committee meeting on Monday, October 8, 2018 at 6:30 p.m. has been canceled, due to lack of agenda items. Fayette County, Georgia, April 11, 2019 –At Fayette County, keeping citizens’ data safe is paramount and top priority for Fayette County’s Chief Information Officer Phil Frieder. 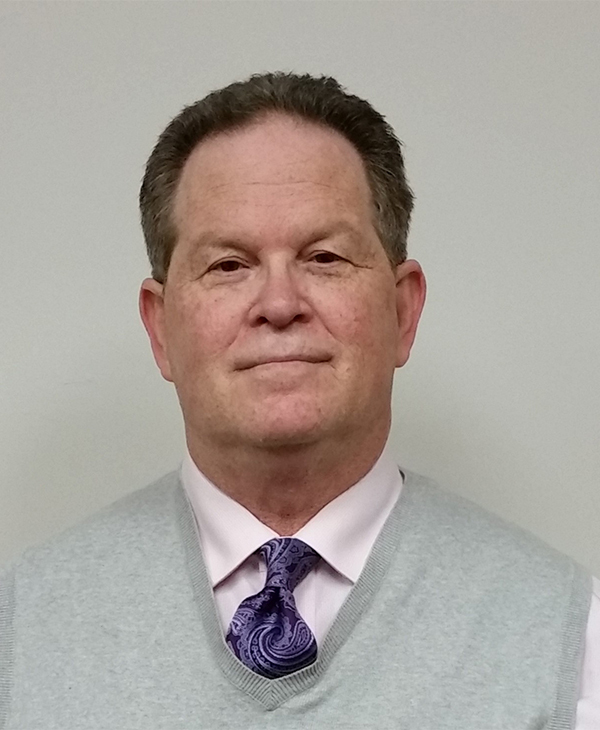 Mr. Frieder started his government career in 1990 as an authorized contractor recommended by the Georgia Bureau of Investigation (GBI) for providing access to the Criminal Justice Information Systems’ (CJIS) for Georgia agencies. 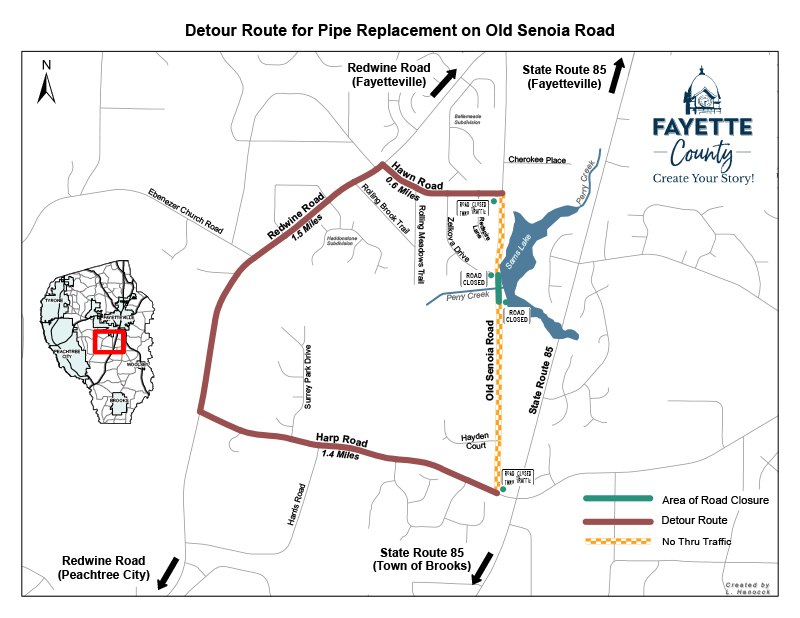 Fayette County, Georgia, March 26, 2019 , Old Senoia Road is scheduled to close beginning Monday April 15, 2019 through July 2019, weather permitting, for a SPLOST project. Old Senoia Road will be closed to thru traffic between Hayden Ct and the entrance to Sam’s Lake Sanctuary for a culvert replacement project. 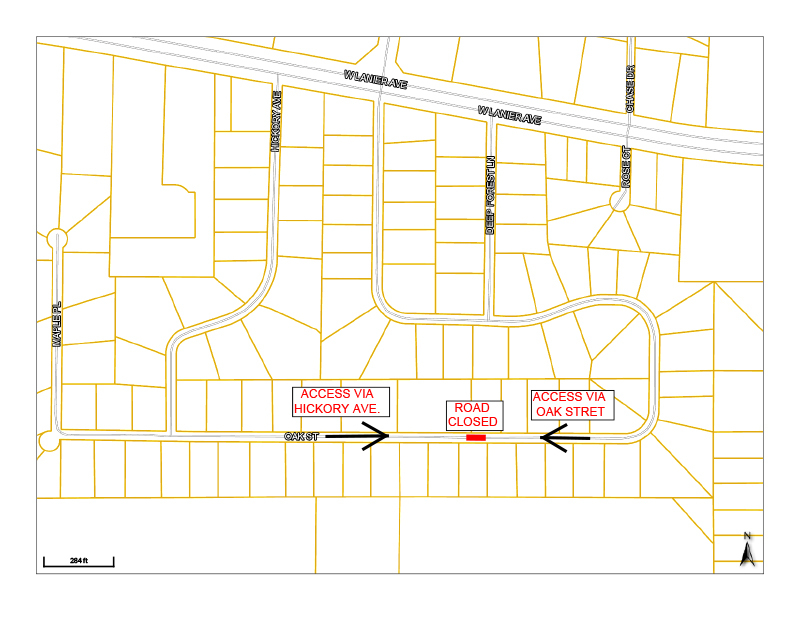 Detour signs are in place and a detour route map is provided below. Citizens are encouraged to visit the County’s webpage to gain the latest updates on all 2017 SPLOST projects. 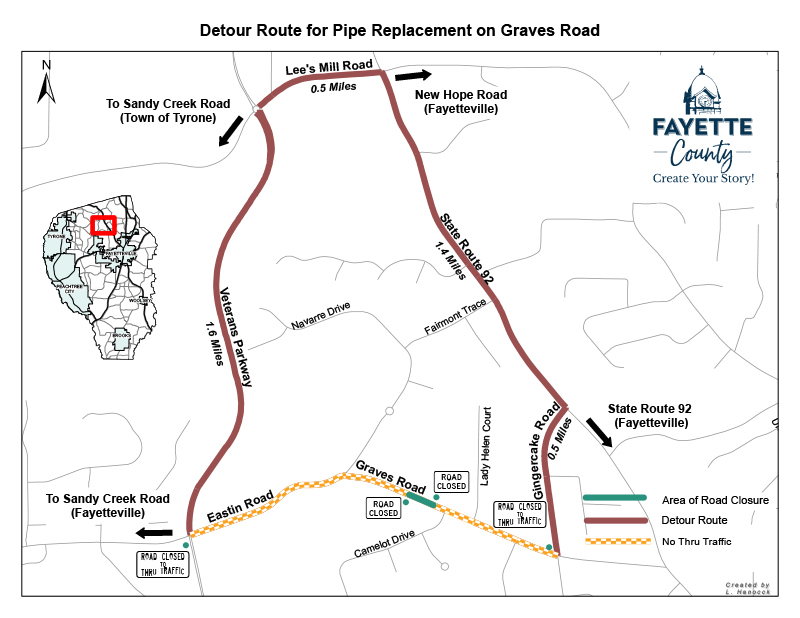 Fayette County, Georgia, March 22, 2019 , Graves Road is closed to all through traffic between Ginger Cake Road and Eastin Road. Winter rainfall has caused the area around a culvert to wash out. Detour signs are in place, and a detour route map is provided below. Utility relocation and construction for the Graves Road Culvert Replacement SPLOST project has begun and is scheduled to be complete by June 2019, weather permitting. Citizens are encouraged to visit the County’s webpage to gain the latest updates on all 2017 SPLOST and projects. Fayette County, GA, March 25, 2019 Fayette County is proud to announce The Fayette County Water System has won a Certificate of Distinguished Merit for the Crosstown Water Treatment Plant in the Best Operated Water Plant of the Year Award, 5 MGD to 14.99 MGD category. This award comes from the Georgia Water Association Professionals (GAWP). The inspection score qualified the Crosstown Water Plant to receive this award. Congratulations Fayette County Water System on this prestigious recognition! Fayette County, Georgia, March 11, 2019 – The Fayette County Water System is excited to announce a new reservoir management technology developed by IXOM Watercare. The IXOM Intake Water Selector system (WaterSelector) integrates components with dedicated purposes of monitoring reservoir (profile) water quality. WaterSelector uses real time sensor technology and takes varied samples from different depths in the reservoir and selects the best water at that time. This method isolates general pool water from preferred water and the best water is then pumped into the Water Treatment Plant to be treated and then distributed to Water System customers. Citizens are encouraged to visit the County’s webpage to gain the latest updates on all 2017 SPLOST and projects. Fayette County, Georgia, December 20, 2018 The Antebellum Way Culvert Replacement project was scheduled to be complete in December 2018. However, due to recent heavy rains and unworkable site conditions, the project completion date has been delayed until after the first of the year. 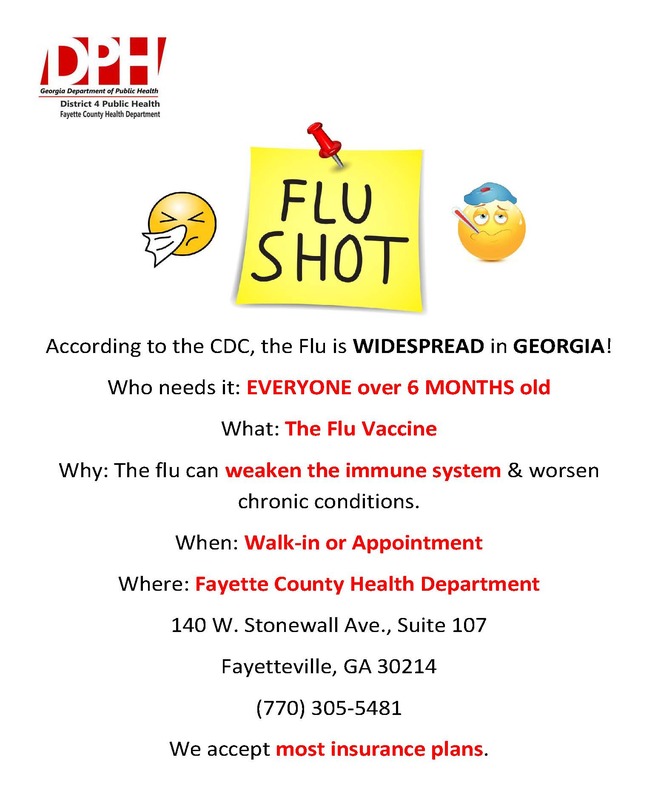 The Fayette County Commission holds regular meetings on the 2nd and 4th Thursday of each month at 6:30pm in the Administrative Complex located at 140 Stonewall Avenue West, Fayetteville, GA 30214. The Fayette County Department of Public Works is embarking upon a comprehensive corridor study of State Route (SR) 74 from US Route 29 on the north end to SR 54 in Peachtree City. 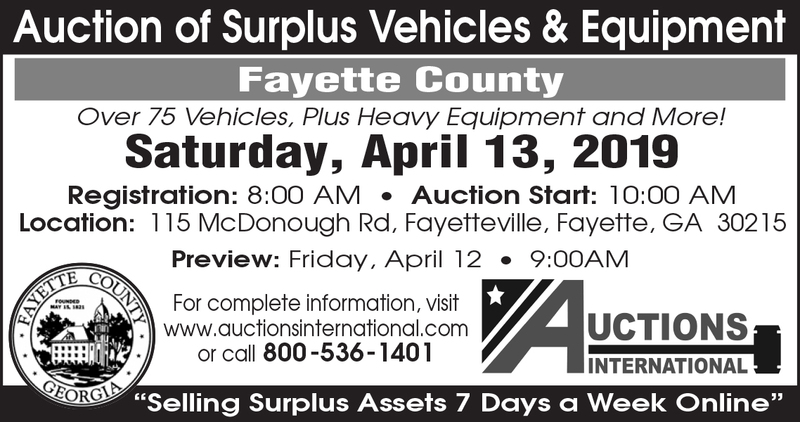 Fayette County’s Board of Commissioners approved a referendum for a one-cent special purpose local option sales tax (SPLOST) that will fund transportation, stormwater infrastructure, and public safety. It was approved by voters on March 21, 2017. Welcome to Fayette County. We envision a local level of government that remains open and easily accessible to all citizens and does so in a manner that generates trust and confidence among taxpayers, employees, and elected officials. Fayette County Government offers online services and payment options for many departments, such as water and other utilities, property tax payments and more. Official Fayette County Government department ordinances, documents and forms are available in PDF format for download. The purpose of The Fayette County Public Art Committee (FCPAC) is to find ways to use art to enhance the County's reputation, to contribute to the civic environment, and to enrich the lives of citizens and visitors. Due to minimal enrollment, the Fayette County Emergency Management Agency is discontinuing the use of the CodeRED Mass Notification system. However, it's important for all citizens to maintain the ability to receive warnings through multiple means. All citizens should obtain and use an NOAA Weather Radio at home, as well as any other means of receiving alerts possible, including smartphone apps, television, radio, etc. to maintain awareness of hazards that may arise. Please go to www.ready.ga.gov for more information on family, business, and travel preparedness.